After four years of planning, two Sikh families from Afghanistan are finding refuge in B.C. They landed in Vancouver's airport Thursday morning, having fled religious persecution by the Taliban in their home country. 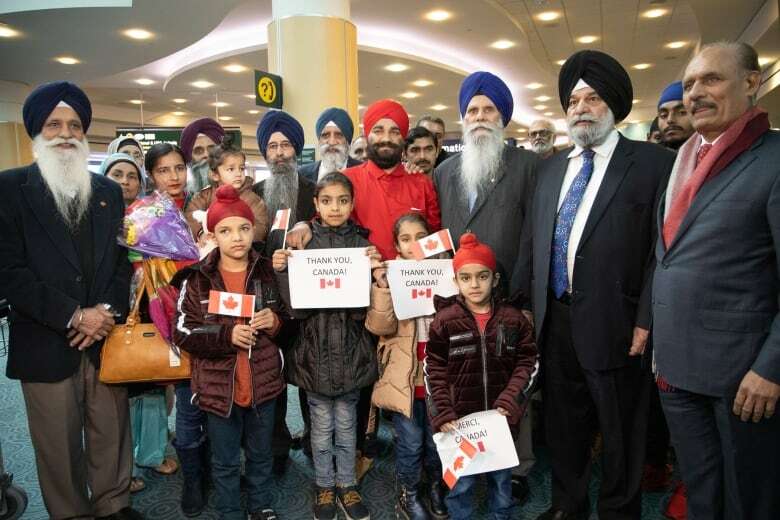 "I am so happy to be here," said Shamlal Khalsa, who arrived with his wife and four children. "[It] was so bad in Afghanistan, our life." Khalsa says the Taliban and other Islamic jihadists forced Sikhs to change their religion and cut their children's hair. Women often didn't feel comfortable leaving their homes, he added. The Taliban also compelled them to pay jizya taxes, a levy on non-Muslim residents, he says. Both families have been living in India since 2015 after fleeing Afghanistan. The families are being privately sponsored by the Manmeet Singh Bhullar Foundation which was created in 2015 by the late Calgary-Greenway MLA Manmeet Bhullar. Bhullar died in a car accident while helping a stranded driver in a snowstorm in November 2015, but the foundation continued his mission. "This was a project so deeply important to my brother," said Tarjinder Bhullar, his sister. "Up until his passing ... this consumed him in terms of finding any and every avenue to get these people out of Afghanistan." She says Manmeet was adamant about helping families facing religious persecution by the Taliban and getting them to Canada for a fresh start. Four years later, those dreams are coming to fruition. "[Being able to] provide these families with essentially a blank slate to start their own Canadian dream — it's pretty impossible to put that into exact words," she told Stephen Quinn, the host of CBC's The Early Edition. 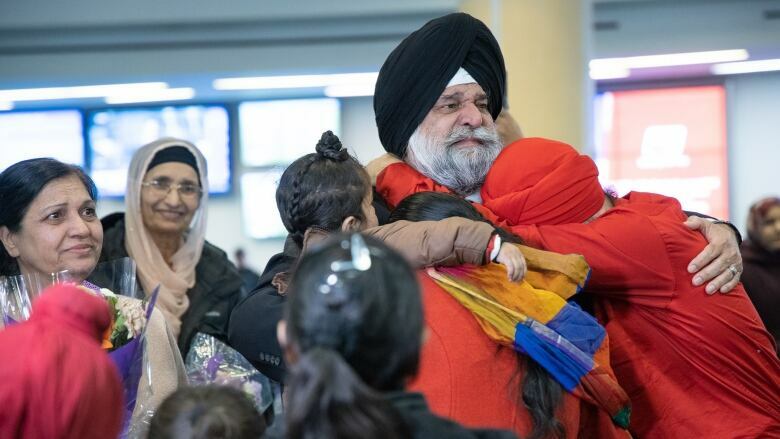 At the airport, Manmeet's father waited to greet the families, wearing his son's tie. "I'm missing him," said Baljinder Bhullar, the significance of this day audible in his wavering voice. "I wish he can see, but thanks God, his promise, his dream is coming true. I'm happy that I'm able to carry on." The Khalsa family is one of 65 who will come to Canada through private-sponsorship by the foundation.